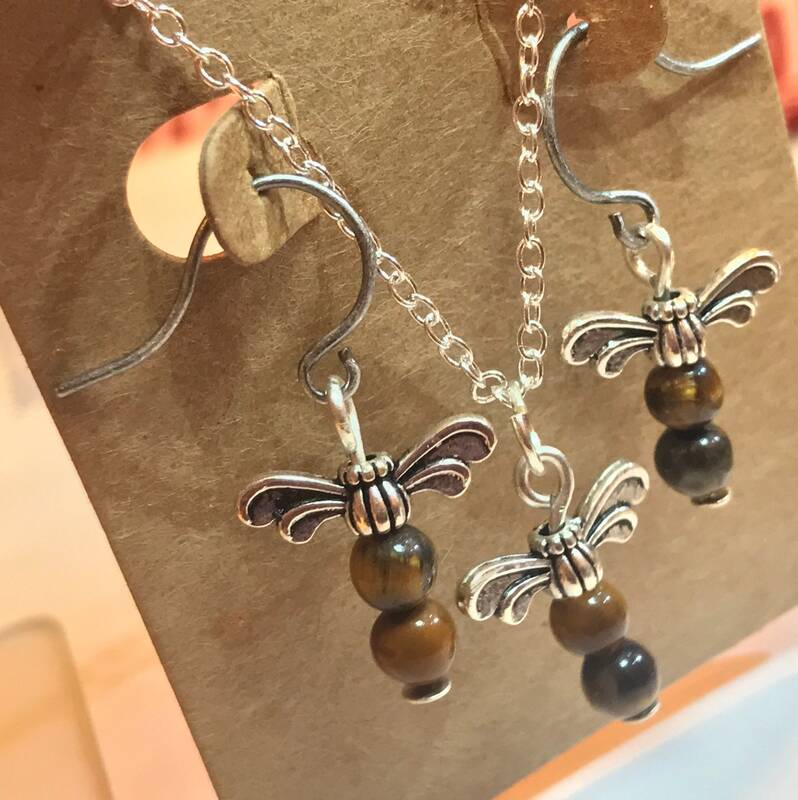 Dragonfly Necklace with matching earrings. 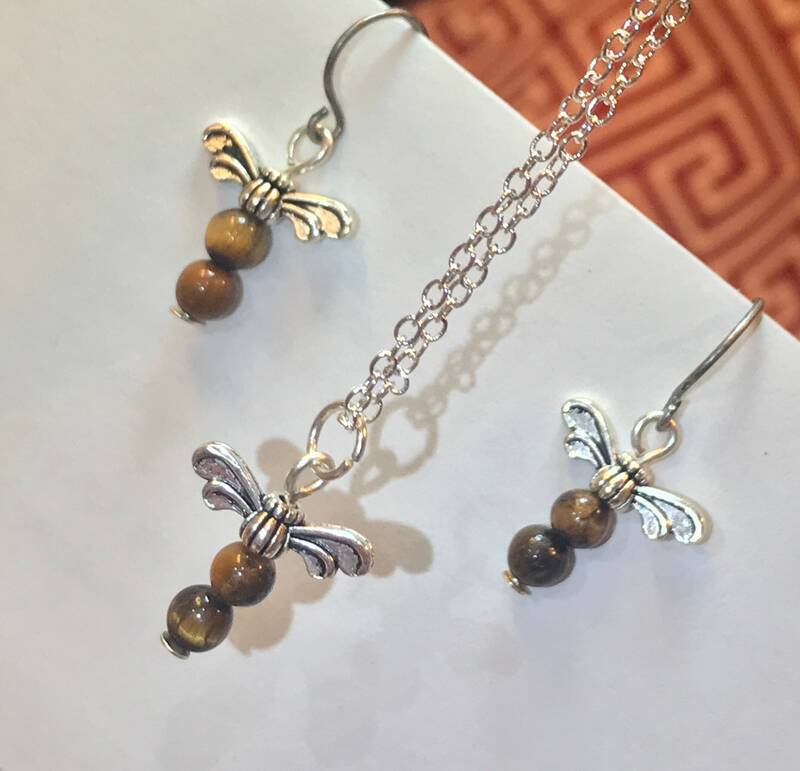 Reminds me of dragonfly in amber. 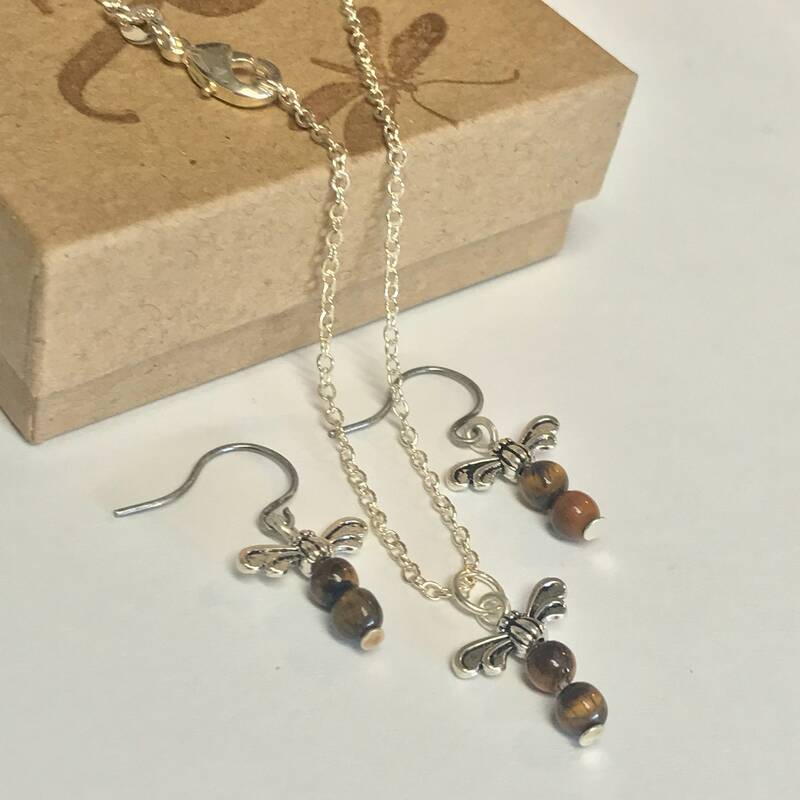 Handmade with love for Outlander, this set is made with Silver plated findings and Tiger Eye beads. 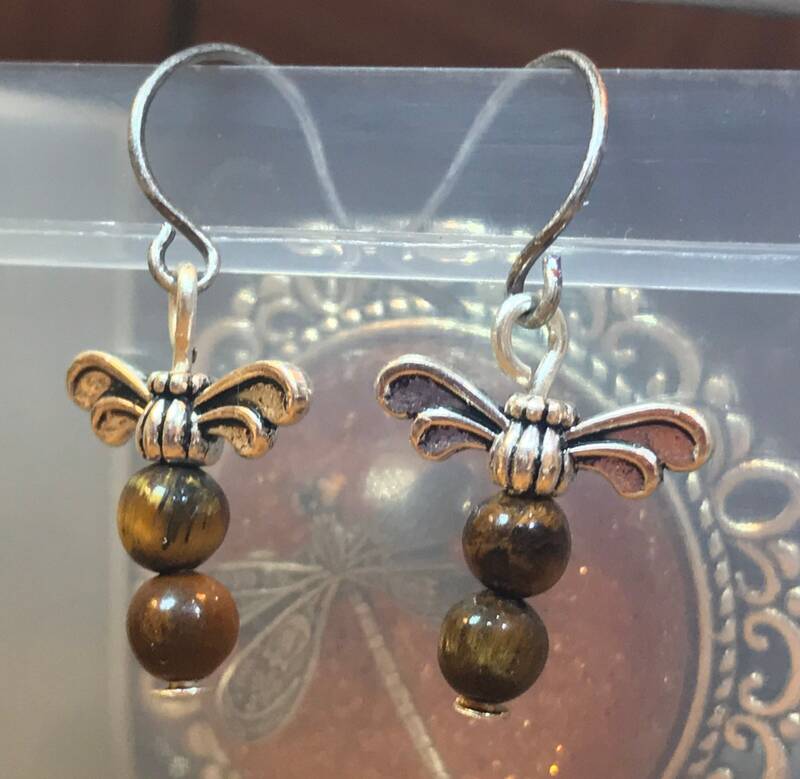 Dragonfly Pendant and Earrings are made with Silver wire with tiger eye beads and silver dragonfly wings. 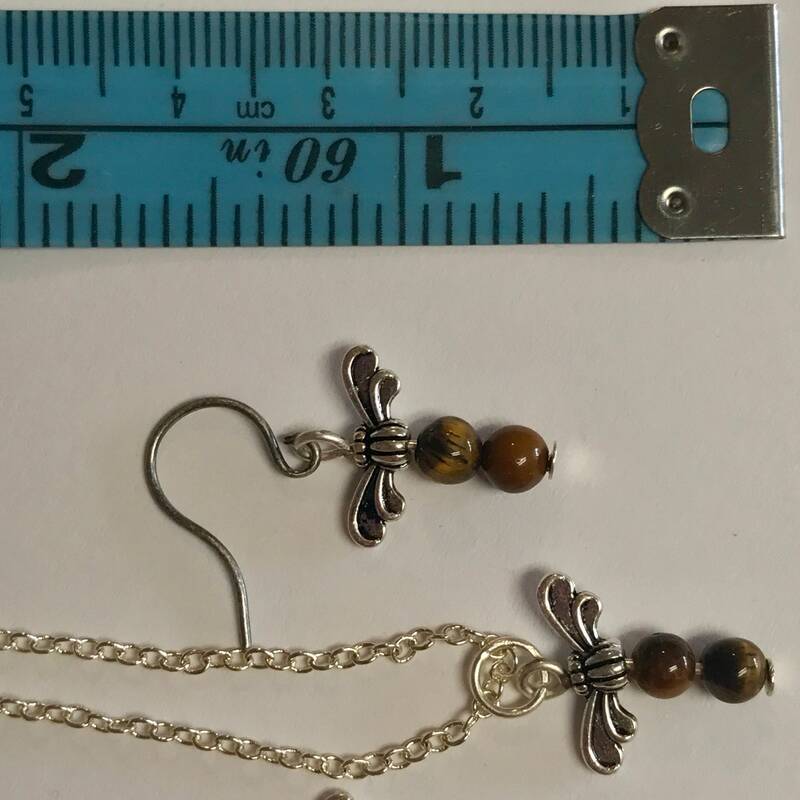 Earrings are on Silver plated ear hooks. 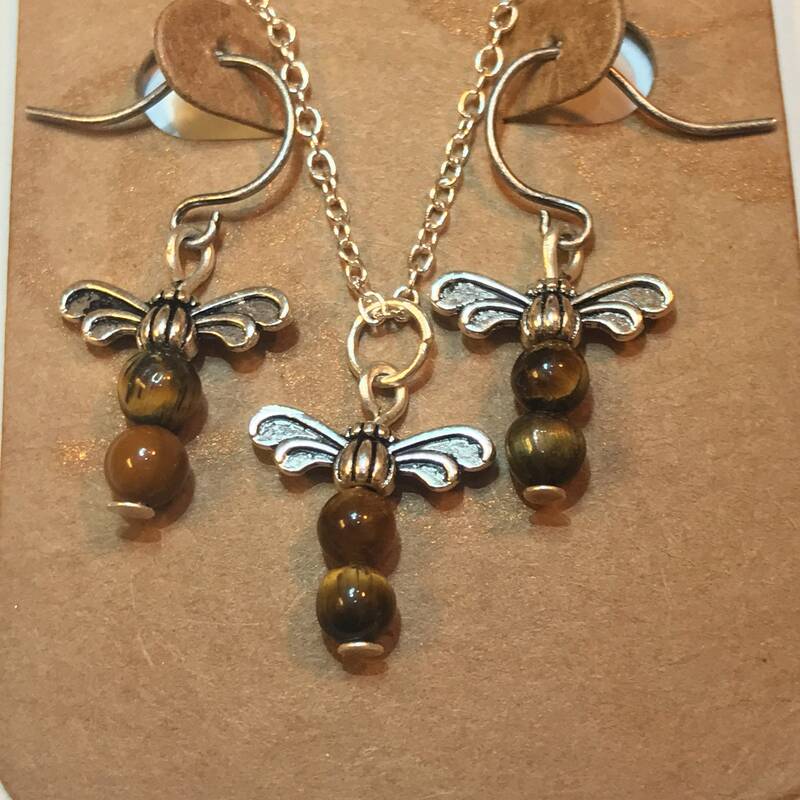 These come in a small kraft gift box to give as a gift or keep for yourself.